Unlike stocks, gold remains a valuable investment over time. As a rare metal, its value is high on the open market. Gold values increase during recessions as investors turn to safer investment options to protect their wealth. According to some investment analysts, roughly 5 to 15 percent of an investor's portfolio should consist of gold or gold related investments. Most central banks invest in gold because it is a way of getting easy financial insurance. This finite currency helps to preserve wealth and allows investors to pass their wealth on to the next generation without a problem. From investing in mining shares to speculative investments, there are multiple ways to buy gold. 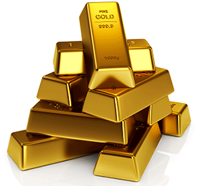 One of the most popular ways to buy gold is through standard gold bullion or coins. Depending on the marketplace, the price of bullion bars and coins changes constantly, and it generally follows the current market price for gold. Gold, platinum and silver are all available as bullion coins. These coins may be minted in the United States, Austria, the United Kingdom, South Africa, Canada or another nation. Typically, these coins are minted in 1/10, 1/4 or 1/2 ounce amounts. Larger options line 1-ounce, 2-ounce, 10-ounce or 1-kilogram coins are available. The most popular gold bullion coins are the Britannias and the Krugerrands. In the United Kingdom and the European Union, investments in gold bullion are tax free, VAT exempt and stamp-duty free according to the Gold Directive of 2000. Having gold at your house can leave you open to theft, so there is an alternative buying option available. Gold certificates basically let investors buy gold without having to store it at their home. The bullion remains at the issuing bank, and the investor keeps a certificate that shows that they own it. Unlike typical gold purchases, the investor has to pay fees for insurance and storage while the gold is held at the bank. For a riskier investment, you can check out gold futures. Futures contracts are basically a way to bet on an investment vehicle rising or falling in value. An investor arranges the contract with a broker and gives a cash deposit known as a margin. This deposit is worth just a fraction of the total gold's value. If the investor bets on the market and wins, they can earn a significant amount of profits. Unfortunately, investors who predict the market incorrectly can lose the entire value of their investment. While this investment vehicle has the highest potential for profits, it also carries the highest level of risk. Older rare coins are normally purchased for their historical background and rarity. While these can be purchased for their metal content, they are more commonly chosen for their historical appeal. Semi-numismatic and numismatic coins are linked closely to the price of gold, so they rise in value during a bull market. 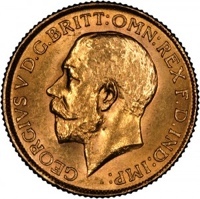 Out of the many coins available, the British gold sovereign is the most popular. These funds track the price of gold. They typically charge a yearly administration fee that ranges from 0.4 to 0.5 percent. Out of the many gold exchange-traded funds available, the ETF Securities' Gold Bullion Securities and Streettracks Gold Shares are the most popular. An allocated gold account allows investors to purchase gold from a brokerage. Afterward, the brokerage transfers the gold to the investor's bank. Before choosing this option, investors should perform due diligence on the brokerage's history, credit rating, net worth and reputation. In all of human history, just 160,000 tons of gold have been removed from the earth. Currently, an estimated 2,600 tons are being mined every year. Once the gold is mined, it may be used in false teeth, jewelry, investments or in other ways. Since there is relatively little gold available in the world, it has remained a valuable investment over the centuries. Other than investing in gold, many people choose to buy gold for jewelry or other items. For jewelry shopping, start by considering the karats. The highest gold content in jewelry is 24 karats. At this percentage, the metal is soft, bends easily and susceptible to scratches. In comparison, 10-karat gold is fairly hard and retains its shape over time. For gold jewelry buying, the following list shows the purity content of gold within each karat level. When investing in gold, it is important to calculate risk in advance. Stocks in gold mining operations and future contracts carry the highest level of risk. In addition, investors will want to consider the costs of storage and transport when they invest in gold. While buying gold bullion and keeping it in a safe is the cheapest storage option, it carries the risk of theft. Gold bullion, coins or jewelry buyers must be vigilant about the people that they buy from. Before purchasing from a company, investors should research the company's history, reviews and credit rating. There are scam artists online who try to sell fake gold or attempt to rob investors, so it is important to do due diligence before making any gold purchase.